Join WJEZ at Wright’s Furniture, 115 E. Madison St., Pontiac this Saturday from 10am – 12pm and win tickets to Styx in concert! 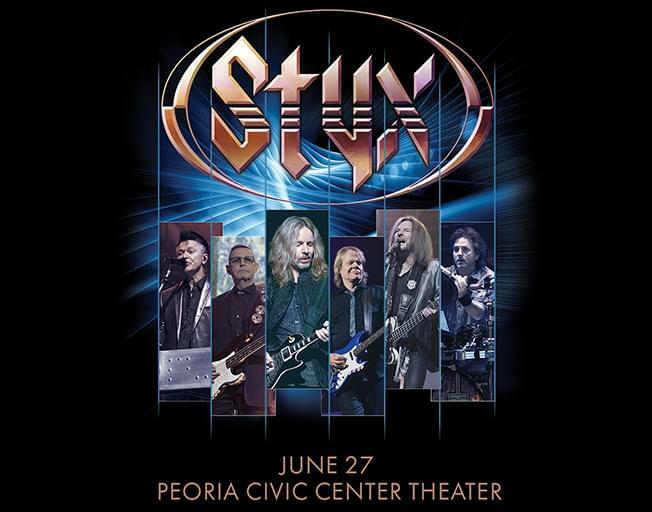 Rock Legends Styx are coming to the Peoria Civic Center Thursday, June 27th. Join Todd Wineburner and Cathi Coppinger Saturday as we celebrate Wright’s Furniture 66th Anniversary with refreshments, your chance to win gift certificates and one person will win 2-tickets to Styx in concert.